Mandalorian Mercs Star Wars Costume Club for non-canon Mandalorian costumers. Getting back to the roots of our organization, the panel will be discussing the in's and out's of planning, fabricating, and wearing your armor as effectively as you can. We'll get into the gritty details about just how to form that plastic, and the best way to use that knife or dremel. If you've got armor questions, this is the hour you've been waiting for, so listen in! Join our hosts for another episode, filled with holiday cheer, of course. Listen in to our discussion on armor making, and our special Year-In-Review segment. That's right, you heard us. We're gonna have DSB himself on the cast. He'll be taking calls, and going in detail about everything from Hollywood to Helmets. Listen in! Along with the usual Mercs News and Star Wars News, your hosts will be discussing in great detail the more subtle aspects of a Mandalorian suit: the Accessories. In this special episode, we'll cover Celebration 5 and all of the shenanigans that went on over that crazy week. We'll be discussing events, shows, panels, and Merc related activities. Listen in! Keldabe Talk Radio - Ep. 17 - Feat. 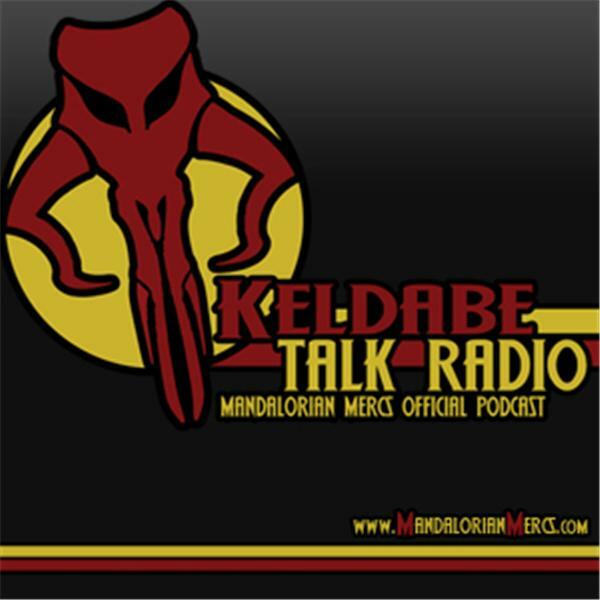 Alexandre O. Philippe, Director of "The People Vs. George Lucas"
On KTR, members of the Mandalorian Mercs Costume Club discuss everything from Mandalorian armor making, to your favorite Star Wars news and upcoming and past events sponsored or attended by the Mandalorian Mercs. Listen in!